You’ve got all the resume basics down, and you hand-tailor each document to the job you want. But what do you do when the job you want is one rung up from the job you already have—at the company where you already work? 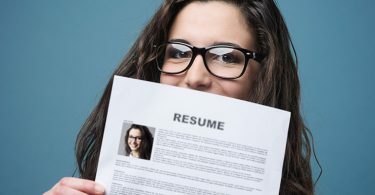 When applying for internal promotions, you’ll still need to submit a resume—and the stakes are a little bit different than when applying to new places and positions. Remember: if you’re competing with other, outside candidates, you’ll have the leg up of being a known quantity—already orientated, already cleared, already background checked, already there. But you do still want to distinguish yourself from any of your competition. Use this resume to remind your superiors and supervisors of all that you’ve learned and accomplished while in your present position. If effective, after all, they need not look any further! When in doubt, here are a few great strategies. 1. Pretend it’s for another company. Even though you know it isn’t, and you know it has to be different overall, it’s best not to assume that whoever reads this document is going to be intimately familiar with your work. Err on the side of detailing everything you’ve achieved where you are. Make a bulleted list of all of your accomplishments, paying particular attention to instances where you showed initiative or showed off leadership characteristics. Pitch it as though it’s going to a stranger. You could also make an itemized list of obstacles you faced—but be sure to also include a description explaining how you overcame each, what you learned, and how you troubleshot any problems that arose. Take a look at the official job posting for the promotion you want. Make a list of everything it asks for. Then match your current professional experience to that list. Highlight every instance where you’re a perfect match, and find a way to address any inconsistencies. Don’t forget to describe your skill set somewhere near the top—make sure your list matches nicely with theirs for the desired position. Did you take an upgrading course, attend a conference or a workshop, or participate in any continuing education program through your employer? Don’t assume they remember or have a record of your doing so. Put that stuff on your resume as well. And if you took on any additional responsibilities not technically part of your purview, be sure to put these in. 5. Add the good stuff. Put in plenty of examples of your going above and beyond, including any awards or official praise you’ve received in recognition of your performance. Show that you’re ready to move up because you’re already operating on that level. Talk about when you mentored or managed a team, and emphasize your leadership skills. If you’re not quite ready to start applying now for your promotion, start amassing this information as you go—rather than trying to rack your brain for it in a few months when you’re ready to submit. Make a “brag book” of every time you do something noteworthy. It will make compiling your new resume all the easier when it comes time to apply for that internal promotion.